The best businesses, restaurants, places, organizations, and people in the Highland Lakes. 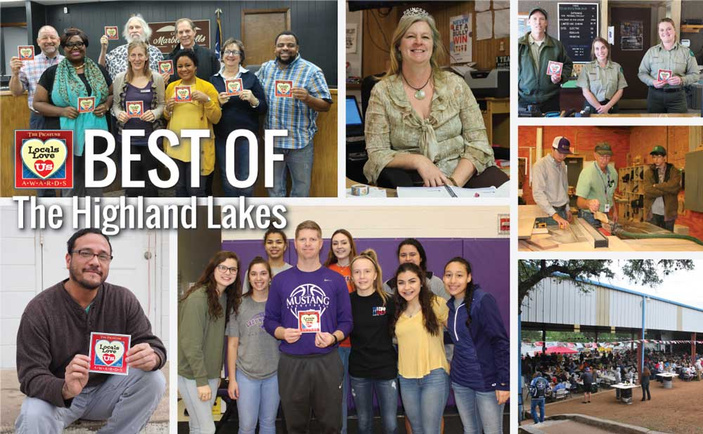 Here are the best businesses, organizations, places, and people in the Highland Lakes as voted on by The Picayune and 101HighlandLakes.com readers and KBEY 103.9 FM Radio Picayune listeners. LLANO AREA: Shawn Scott, D.C.
BURNET AREA: Susan Henson, D.M.D. MARBLE FALLS AREA: Lane Freeman, D.D.S. LLANO AREA: Greg Sopel, D.D.S. BURNET AREA: Robert Graves, D.O. MARBLE FALLS AREA: Juliette Madrigal, M.D. BURNET AREA: Kenneth Malamud, M.D. MARBLE FALLS AREA: Mohan Poole, O.D. BURNET AREA: Langley Homes Inc.
MARBLE FALLS AREA: Tractor Supply Co.